Call (02) 8824 4944 for enquiries and to make appointment. Dr Anil Nair treats patients with conditions of the spinal column. Conditions that affect the spine, in particular those that result in narrowing of the space available for the neural elements (spinal cord and nerves), have an emotive and almost noxious narrative about them. Whilst the tyranny of these conditions is invariably intrusive, there is much that can be done to alleviate the symptoms of these conditions. 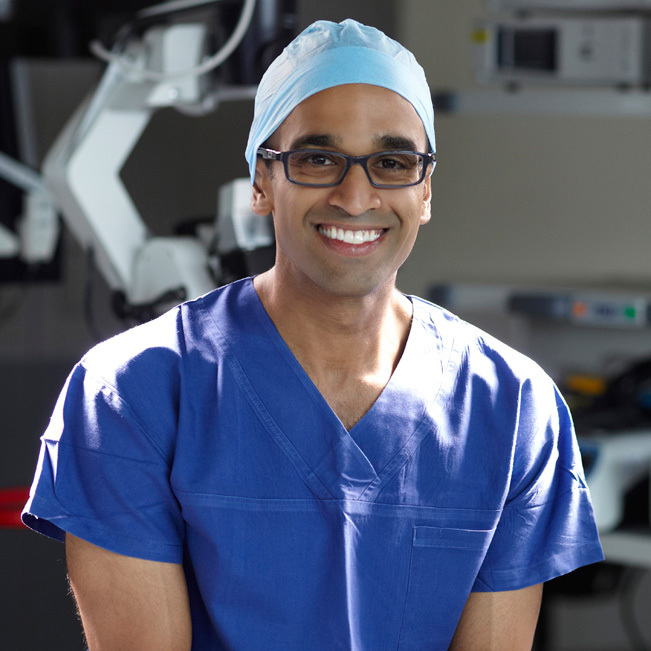 In Dr Nair’s practice, the treatment of these conditions involve a reverent attention to detail and a lifelong commitment to surgical excellence. The decision to embark on surgery is invariably a difficult one. Dr Nair provides a treatment approach that is guided by the scientific literature but also places the circumstances of the individual patient into the foreground before providing a recommendation. Dr Nair demands a commitment to excellence from all treating and support staff, in order to optimise the surgical result and deliver the desired outcome of pain relief and repatriation of physical literacy. Dr Anil Nair treats patients with conditions of the spinal column. He is an Australian trained orthopaedic surgeon with dual orthopaedic and neurosurgical post fellowship training.